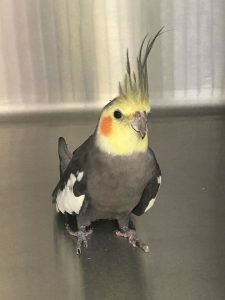 FOUND – A Cockatiel has been handed in to the practice, found in Bolton. Please contact us on 01204 525066 if you recognise him/her. Hopefully you are all finding ways to keep your pets cool in this hot weather. Plenty of shade, fresh water, and a fan or air conditioning if that’s available. Big bunny Max is loving the sunshine, eating a yummy strawberry outside in his garden. Poor Oliver came in on Saturday morning as an emergency to have this fish hook removed from the back of his throat. Oliver had been walking around Rivington with his owner when he found (and ate) a fish, with this hook still attached. Oliver needed a general anaesthetic in order for us to remove the hook, which thankfully we did successfully. Luckily for Oliver his owners acted very fast, and he will make a full recovery. 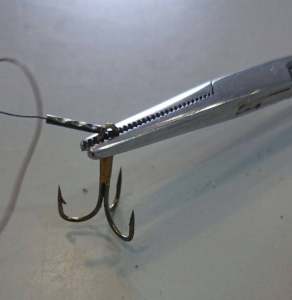 Please be aware of fish and fish hooks if walking your dog near reservoirs, and to all fisherman please be mindful of what you are leaving behind! With the warm weather at this time of year we see more cases of fleas than usual. 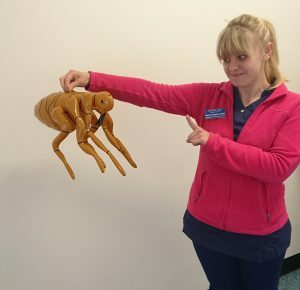 If you are concerned that your pet might have fleas, or isn’t up to date with flea and worm treatment, give us a call and make an appointment with one of our veterinary nurses. This is a free of charge clinic which we run to discuss parasites and tailor a prevention plan to each individual pet based on his/her lifestyle. Say no to fleas, just like Sarah! Competition time! 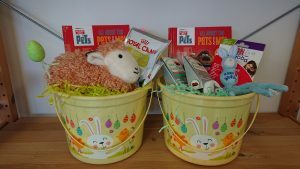 See our Facebook page here for more information on how to enter our Easter competition. Be quick, as it ends on Thursday 29th March! 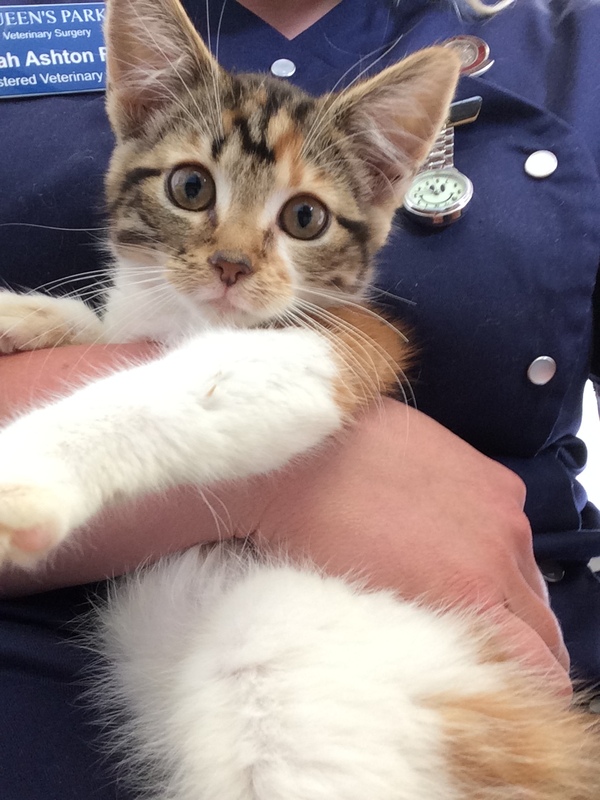 Did you know that we offer free of charge progress checks for all puppies and kittens even if they haven’t been to us before? Our team of nurses will work with you to develop a parasite control plan that works for you and your pet, and his/her lifestyle, and provide the first dose for free! We can also recommend the best diet for your pet and provide you with a free sample bag, and discuss the benefits of vaccinations and neutering if this is something you haven’t considered. If you would like to know more, please pop in to the surgery or give us a call on 01204 525066. Please take extra care with your pets during this spell of bad weather we are having. 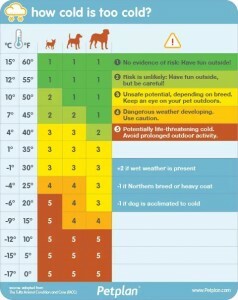 The infographic below shows what temperature it’s still safe to walk your dog in. If you are concerned about your pet at all please call us at the surgery on 01204 525066. Following customer feedback, we have decided to make our prices simpler, and in lieu of a 2018 professional fee price increase we have decided to discontinue our 10% discount loyalty card from 31st March 2018. We have managed to keep our professional fees static for the last 4 years, but with increasing costs this cannot continue without some other changes occurring. After canvassing opinions from our clients, you have told us that you would like simpler prices, so we have decided to keep our fees at their current rate for a fifth successive year, and discontinue our 10% discount card. Patients on our Healthy Pets Plan will continue to receive 10% off all services. For any existing clients who wish to sign their pet up to the Healthy Pets Plan, we will waive the normal joining fee for those signing up between 1st January and 31st March 2018, meaning clients can join the Plan free of charge. For more information on this please speak to a member of staff. We hope that you will understand our decision and continue to support us in keeping your pets happy and healthy. 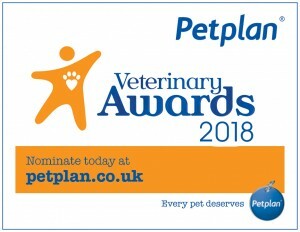 Have you nominated yet in the Petplan Veterinary 2018 awards? There is still time to do so if you think that a member of our team deserves to win! Click here to be redirected to Petplan’s website to vote now. Happy New Year! We hope that all of our clients and patients had a relaxed and happy start to the new year, and we look forward to helping you make informed choices about your pets treatment and preventative healthcare throughout 2018. 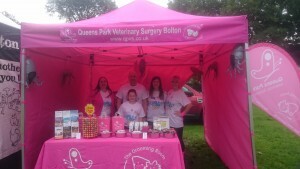 We were proud to have been a main sponsor for the Bolton Hospice Bubble Rush on Sunday 17th September. The Hospice raised a total of £50,000 which is a great result! It was lovely for us to meet existing and new clients and we think you enjoyed our freebies too! See more photos here. We have been keeping a secret for the last 4 weeks… We had a pregnant stray cat handed to us who gave birth to 5 healthy kittens. 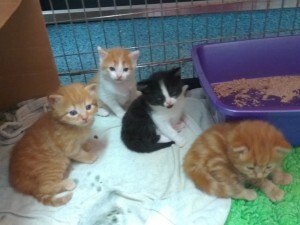 They are 4 weeks old today, and over the coming weeks we will need to find them lovely new homes. 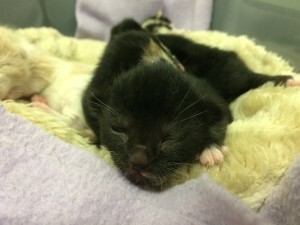 If you would be able to re-home a kitten, or know someone who can, then please phone us on 01204 525066 and ask to be placed on the waiting list. We have 4 boys, and 1 girl, and they will be ready to leave Mum in 3-4 weeks. Have you seen our latest range of cat toys in the practice? 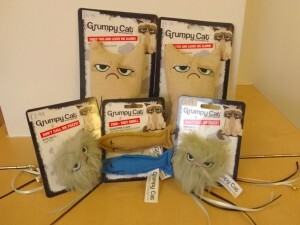 Based on the popular phenomenon ‘Grumpy Cat’ these toys are sure to be a hit with your furry felines – they have gone down very well with our staff pets! A sad case of poisoning has been brought to our attention via a veterinary practice in Hemel Hempstead – unfortunately Dexter the Cockerpoo died as a result of eating mouldy food from his owner’s recycling bin. We would like to assure our clients that this is an unusual incident, however please do be aware that dogs (particularly those prone to scavenging) will not distinguish between fresh and mouldy food, and may try to eat things we don’t want them to. If you do have a food recycling bin, please ensure that it is kept out of the way of your pets, emptied regularly and cleaned thoroughly to avoid mould building up. If your pet does get hold of mouldy food, or anything they shouldn’t have, please phone us straight away for advice. In some instances we may need to administer medication or induce vomiting. We are looking for a new home for our stray kitten, Marie. She is approximately 4 months old, very playful and good natured. Marie will need to have a full course of vaccinations, which comprises two vaccinations 3 weeks apart. She will also be neutered before she leaves us. 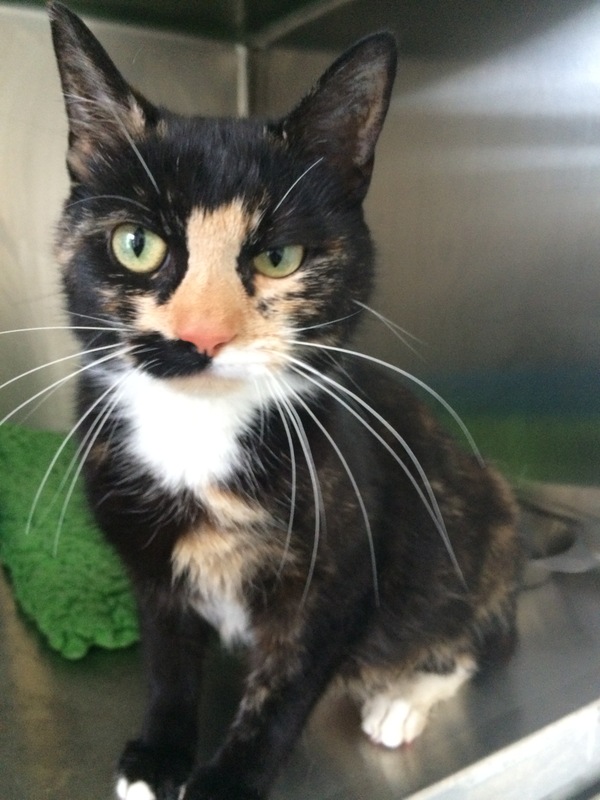 If you are interested in adopting Marie please call us on 01204 525066. Did you know that the law around microchipping is changing on 8th April 2016? All puppies and dogs must be microchipped by 8 weeks of age. However it doesn’t just apply to puppies, the law change applies to all dogs. So if your dog, regardless of age, isn’t microchipped, you have another 2 months to get this done. We don’t recommend leaving it until the last minute, so we are running an offer until the end of February to have any pet microchipped for just £15. Please phone us on 01204 525066 or check out our Facebook page here for details on how to take us up on this offer. Stripy has now been adopted! Her new owners are very happy and excited to take her home. 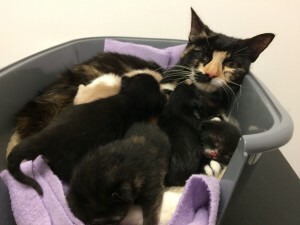 For everyone who was interested in giving Stripy a home there have been 6 new kittens born 2 weeks ago! The Mother was the stray handed into the practice in June. Both Mother & Kittens are well and will be looking for homes soon!! If your interested in giving any a home please contact the practice on 01204 525066 and ask to be placed on the waitlist! Stripy is in the Bolton News paper! Hello, My name is Stripy and I need a new home! Stripy is 1 of 5 kittens, unfortunately her 4 litter mates have passed away and little Stripy had a severe flea infestation to the point of her being anaemic! Her owner had used supermarket flea preparations (most of which repel fleas not kill them!). 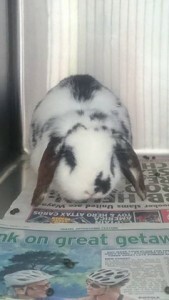 Stripy has been signed over to us and has been treated for her flea and is doing much better! Great News! The pregnant stray cat brought into the practice at the end of June has delivered 6 kittens! 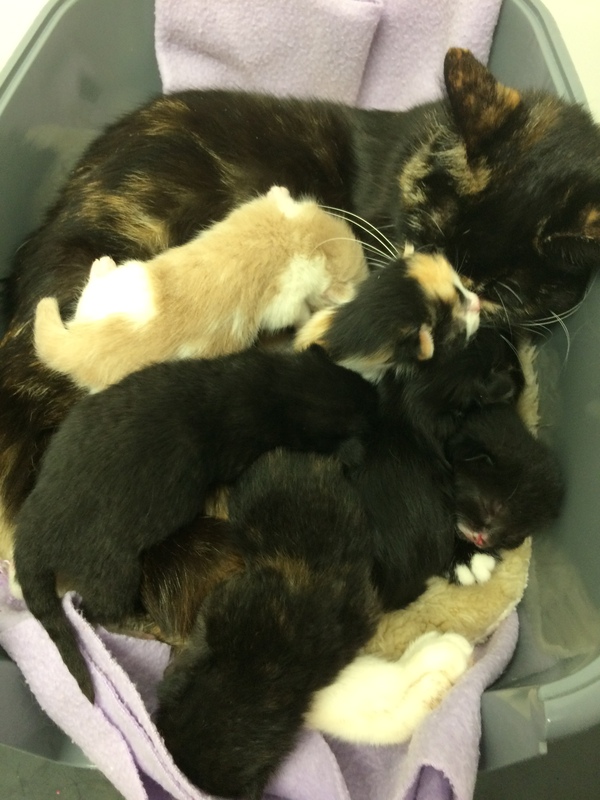 Mother & kittens are doing well with Blue Cross and will be ready for homes in a couple of months! Royal Canin have a new offer! 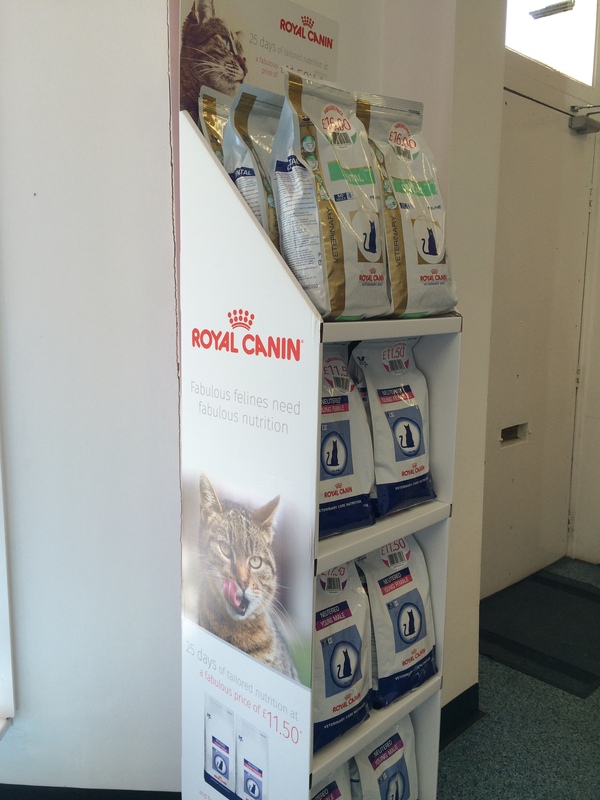 Buy 25 days worth of Royal Canin Feline Young Male or Female for only £11.50 or Royal Canin Feline Dental for only £16.00! Only whilst supplies last, so come into the practice soon to get your bag! Cancellation in the Grooming Room, quick, book your pets in now for a Groom! With the hot weather at the moment they will feel better without their thick Wooly Coats! 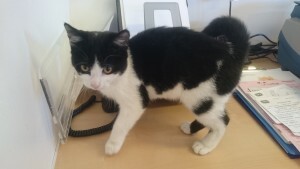 We have a young stray cat that was handed in yesterday, she is very sweet and heavily pregnant with Kittens! 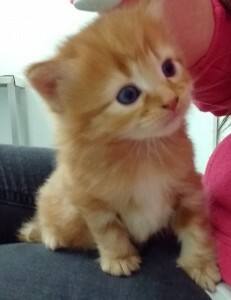 We have spoken to the Blue Cross and they have agreed to take her and find Mother and Kittens a new home when old enough! 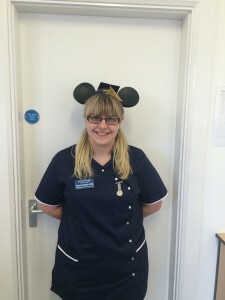 We have a lovely new Groomer called Heather who started at the practice a few weeks ago, shes booking up fast, so get on the phone fast to book your pet in for a hair cut before the warm weather!